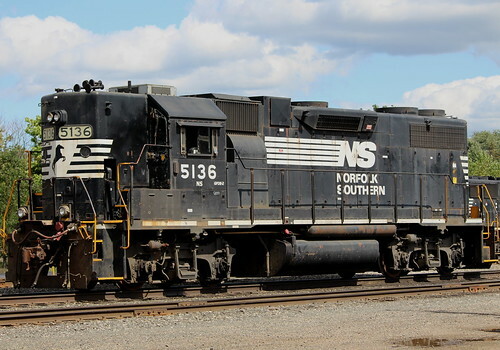 While the Southern Railroad has been merged with N&W since 1990, many former Southern units earn their keep on various lines. 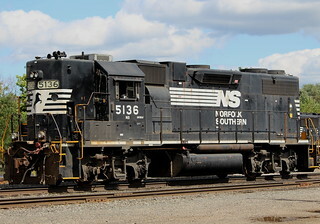 NS GP38-2 #5136 idles at Jackson, Michigan. A casual look shows she still has her EMD builders plates and trustee plaques, which are rare in the modern age and will probably be lost when she is eventually rebuilt with a new safety cab.